Saturday is sure to be a classic with two DBT performances in Charlottesville. 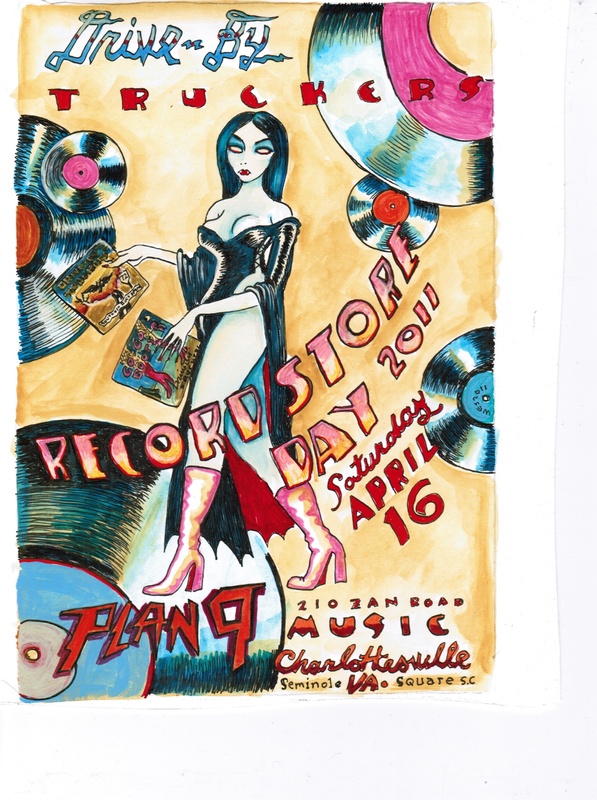 First off,in honor of Record Store Day and the still newly released Go-Go Boots the whole band will be performing inside the building beside Plan 9’s Charlottesville location. Plan 9 is bringing in a stage,PA,and lights for the occasion so we could be in for a little more than the typical in-store show. All that being said space could be limited so it’s recommended that you get there at least an hour to half hour early. Plan 9 will also have 200 of these highly collectible Wes Freed posters commemorating the gig. How about that? Also,tickets are still available for the Rock Show later that night at the Charlottesville Pavilion with Dylan LeBlanc and The Whigs. There is also a crazy amount of rain in the forecast for tomorrow so bring that raincoat and I’ll see y’all in Charlottesville. What a wonderful double dose of Truckers! Thanks to Jim at Plan 9 for hosting a great acoustic show. Wes Freed was there signing posters. Great set. Thanks Shonna for being gracious. Saturday nite’s show was awesome – “Sounds Like a Train” was appropriate – played after the absolute downpour after the Whigs set. By the time the Truckers came on – no rain! Beer was cold and the music was hot!